Henrik Arnold Wergeland was a 19th century Norwegian writer who openly courted controversy, in both the poems and the plays that he wrote. He lived only a short life but in his time became known as a pioneer of Norwegian literature covering a wide range of topics including social issues, theology and modern politics. Some historians have described his work as “subversive” and he was also a noted historian and linguist. He was born Henrik Arnold Thaulow Wergeland on the 17th June 1808 in Eidsvold, the son of a priest of that town. His upbringing naturally centred on religious devotion and it seems that the young man had a desire to follow his father into the ministry. To this end he studied for the church at the Royal Frederick University, graduating from there in 1829. That same year though he allowed his fierce sense of patriotism to get him into trouble with the authorities when he joined in enthusiastically with the people fighting to establish a Norwegian National Day on the 17th May. Curiously the Norwegian royal family were against this idea and, at first, forbade the idea although it would come into being soon enough. Wergeland was an instant hero for his efforts on their behalf. 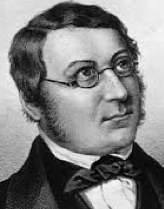 As well as his political activities he was also setting out on his career as a writer with a first volume of poems, mostly of a patriotic and lyrical nature, coming out in 1829. It was called Poems, First Circle. There is passion and romance in here too, as evidenced by the character “Stella” who he describes as his first love, although she is actually based on four individual young women that he had met and fallen in love with. This volume established his reputation with his fellow countrymen and he became known as a strong force in the struggles suffered by the common people with poverty and social injustice. Henrik Arnold Wergeland suffered in his later years from both psychological pressures and poor health. He developed pneumonia and then tuberculosis and died on the 12th July 1845 aged 37. Such was his popularity that thousands attended his funeral service.